The fourth episode in the Hands-On Agile series cover a dozen of the most-cited reasons that an organizational Agile transition might be failing. 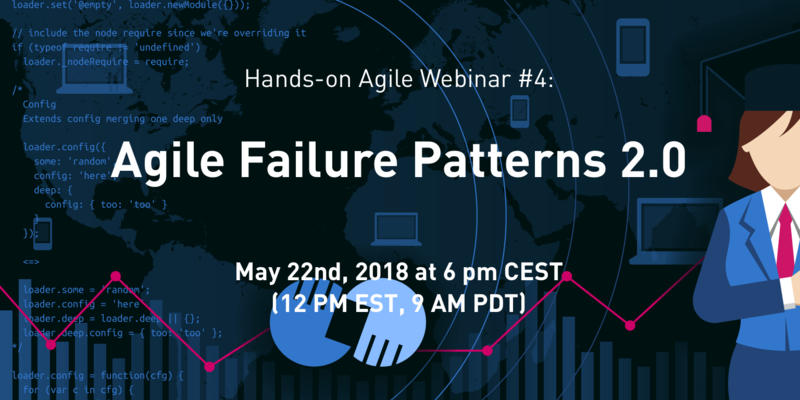 The fourth Hands-on Agile webinar addressed 12 reasons why "Agile" is not the quick fix for dysfunctional organizations — from the "What's in it for me?" syndrome to outdated technology stacks to the lack of a failure culture. The Agile Transition – A Hands-on Guide from the Trenches e-book is a 236-page collection of articles I have been writing since October 2015. They detail the necessary steps to transition an existing product delivery organization of over 40 people strong to Agile practices.